COMMENTS ON: Needlessly Splitting One Book Into Three? Publisher Finds Yet ANOTHER Way To Drain Authors’ Wallets! Your suspicions are justified. For some types of books, splitting them into three volumes make sense. I recently worked with one of over 400 pages that would have been better split into several, each on one topic. But for a devotional, that makes no sense. It should cover the entire year or not at all. Doing only four months per volume makes about as much sense as a four-month calendar. I’d suggest exploring other options, including looking for ways to lower that page-count to keep the price down. A 7.5 x 9.25 size is wide enough that you might be able to do two days on each page, getting the page count under 200 pages and the price down to about $15. A wide format has another advantage. It lies open better. Keep looking and find someone who’ll put your interests and those of your readers above their commissions. It is a fact of life that printing costs are ridiculously high. The problem that we (Royal Knight Inc.) have run into is that you simply can not shorten some books if you want to tell a complete story — and 10 point font is as low as you can go for comfortable print reading. Angela (or her team) has suggested other, larger book sizes, which makes sense (to a point) — but there is also a customer’s perception of ‘correct book size’ Vs the subject. So, some subjects are caught between a-rock-and-a-hard-spot, to use a colloquialism. In this case, E-books would win out for cost reduction — but they are not loved and not practical (for most people and subjects). I understand that the publisher being spoken of above was likely a slimy crook and this was the only motivation for the split, but the reality is — print cost money. Coming June, 2016 from Abuzz Press! This company needs to be called out publicly for practicing such unethical conduct. I certainly hope the author heeds your good advice. How lucky we authors are to have you in our corner! COMMENTS ON: If I Send You My Article, Can You Tell Me Who Might Publish It? Preparing magazine distribution lists to submit queries to seems to be the most difficult task that novice freelance writers struggle with. I can say this because I have coached about 50 aspiring travel writers in the past couple of years, and notice that their biggest “sticking point” is when they start preparing their distribution lists. This task ranks even harder than researching their topic and writing their query letters. Many beginners simply walk away from this task because they find it too daunting and they never see their stories published. This is a shame because, with some perseverance and knowledge about where to find magazine leads, many of these writers would sell their stories & make some tidy $$. I think Angela is too nice to say that part of a writer’s work is to research markets. It takes a lot of time, especially since the markets are constantly changing. That’s why you can’t ask someone else to do it for you (at least not without paying them). You can’t just say, “It’s a science article; therefore, send it to all science magazines.” You have to make sure it’s right for each particular science magazine, and you need to know which column in the magazine it will fit into. Only then can you tailor a query to the magazine that will possibly get you a response. Very encouraging article. I am in my early sixties, have some things in common with Janet. I’m 45 and can relate to your article on so many levels. The last line will be copied and pasted to my desktop. Do you want to REALLY keep 100% of your royalties? 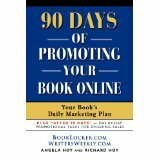 Do you want to REALLY self-publish your book? Do you want direct contracts with the world's largest Print on Demand printer as well as Ingram, the worldís largest book distributor, Amazon, Barnes and Noble, Apple, and any other ebook retailer you choose? All at a price LOWER than most POD publishers!